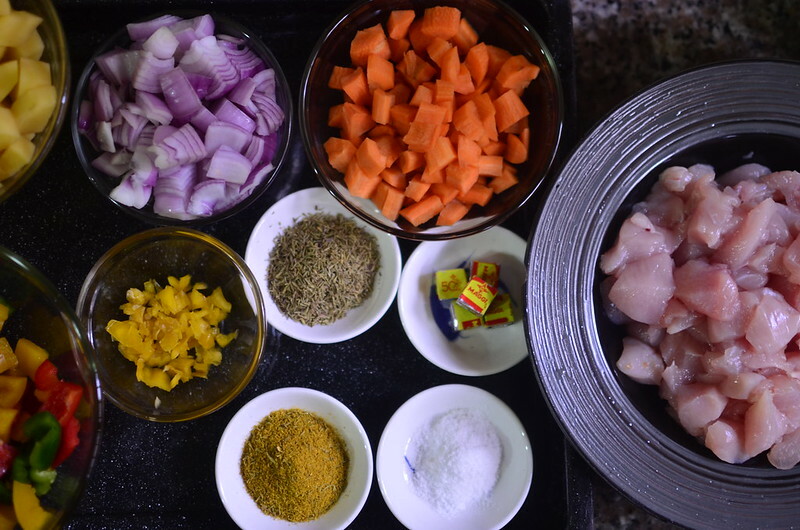 My Aunt would make this when we visited them in Benin – potatoes, chicken, boiled eggs, curry powder, carrots and always green peppers. I’ve learnt well and make this often. My children LOVE it, as do I for a quick, easy and good-looking chicken-in-sauce- dish. I like to think of Sunday afternoons as the perfect time for this but evenings and any other days are fine :). 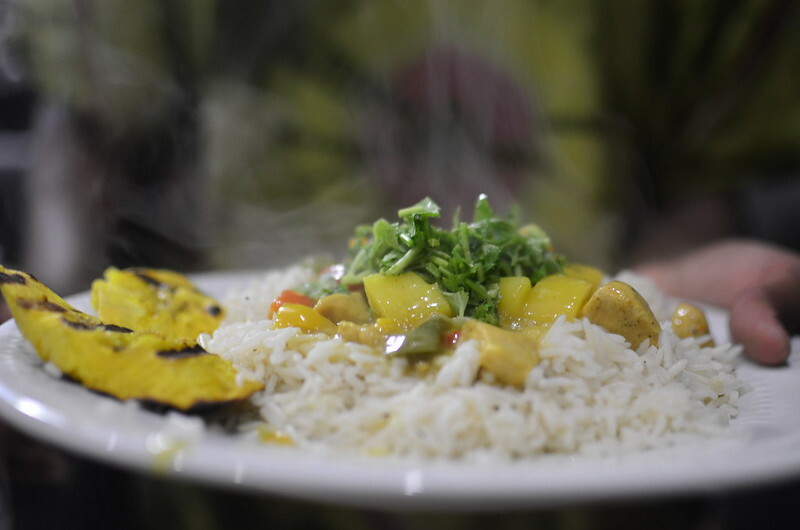 A mix of vegetables add both colour, flavour and texture to the dish. 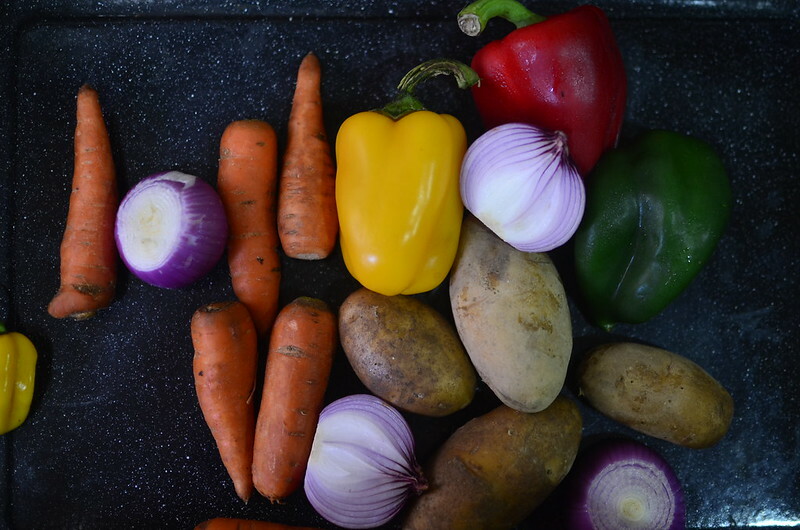 I always use onions, potatoes (sometimes sweet, sometimes yam), carrots and green bell peppers. 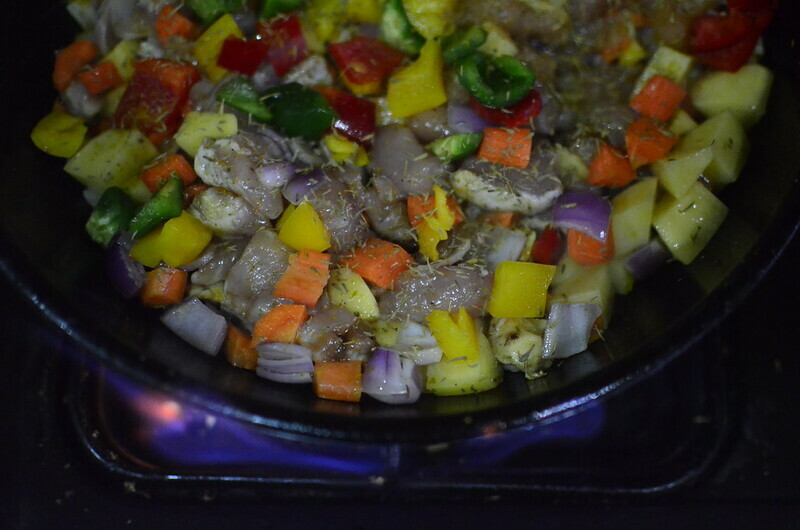 You can add red, yellow, orange bell peppers, green beans, peas, corn and others. I use soft, broiler chickens which cook faster. For cuts, I use the breasts work well. If you like bone-in, you can use the thighs or other parts. I cut my chicken into small chunks. I use a slurry of flour and water. Essentially 2 teaspoons of flour to 1 cup of water. 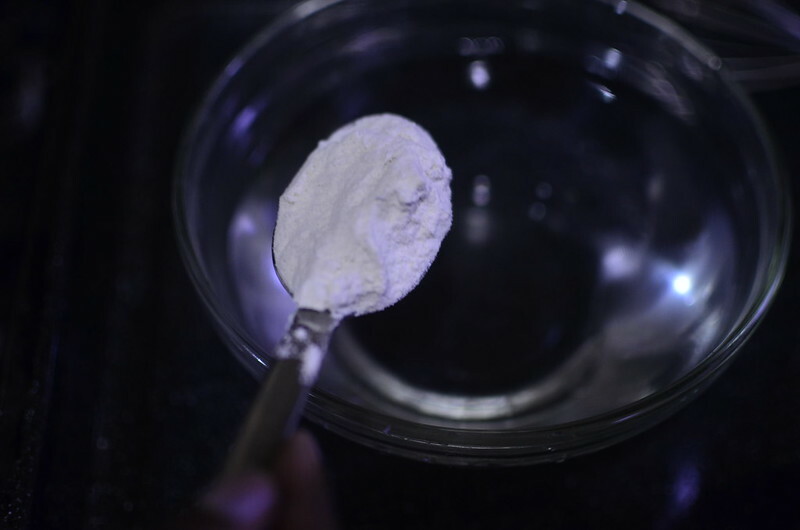 Though a slurry of cornflour works too, if it is heated for a certain length of time, it loses its efficacy and ends. This is the reason I prefer to use flour – it is stable for much longer. 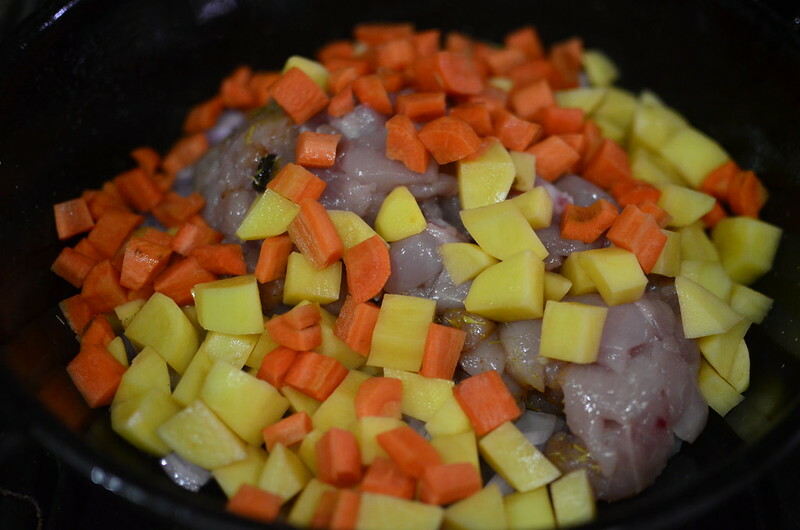 Heat up some oil in a large pan – add the chicken, potatoes, carrots and some seasoning. 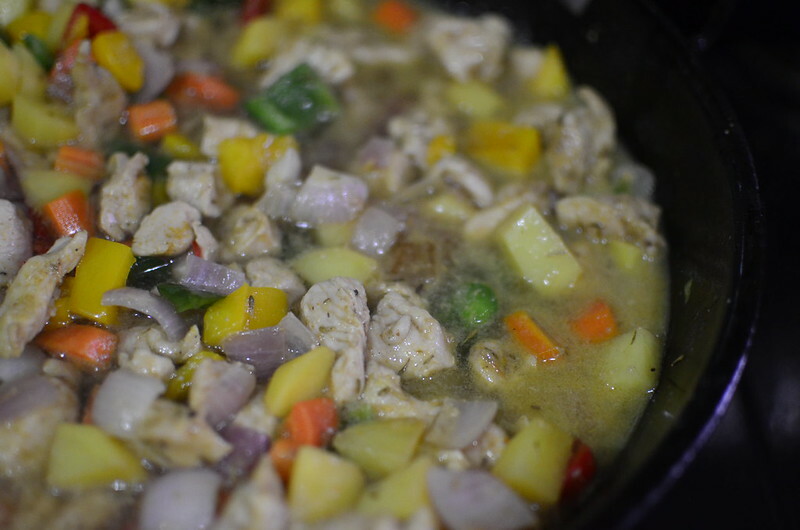 Stir well till the chicken pieces begin to whiten. 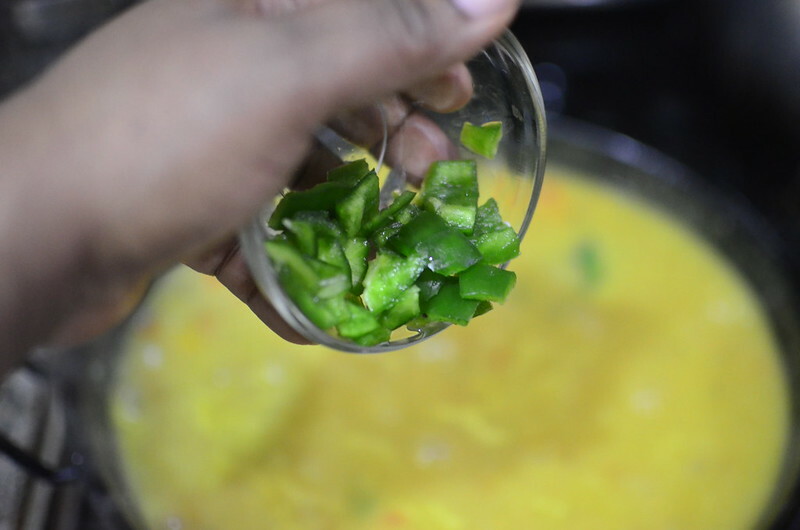 Add onions and mixed peppers – reserve some green peppers for the end. Add water or stock, just to the top of the mixture. Cover and let simmer for 10 to 15 minutes. 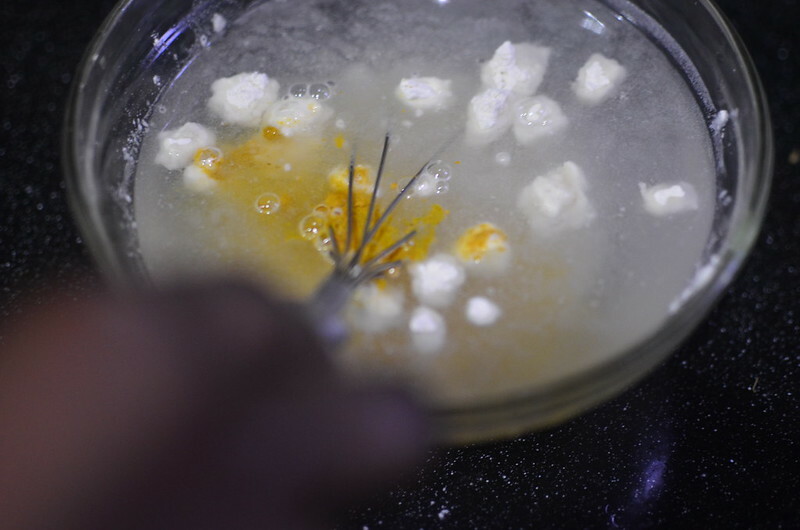 Make the slurry – whisking flour, turmeric and water together. 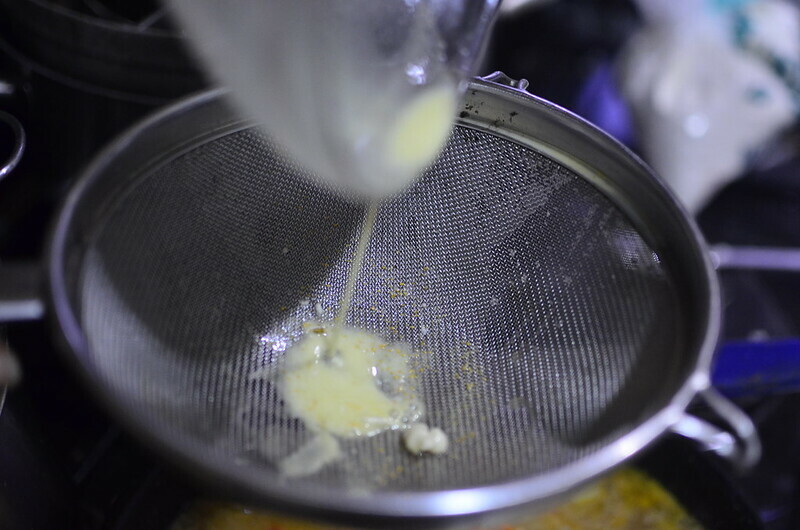 Pass mixture through a sieve into the pan – to get rid of lumps/ undissolved bits of flour. 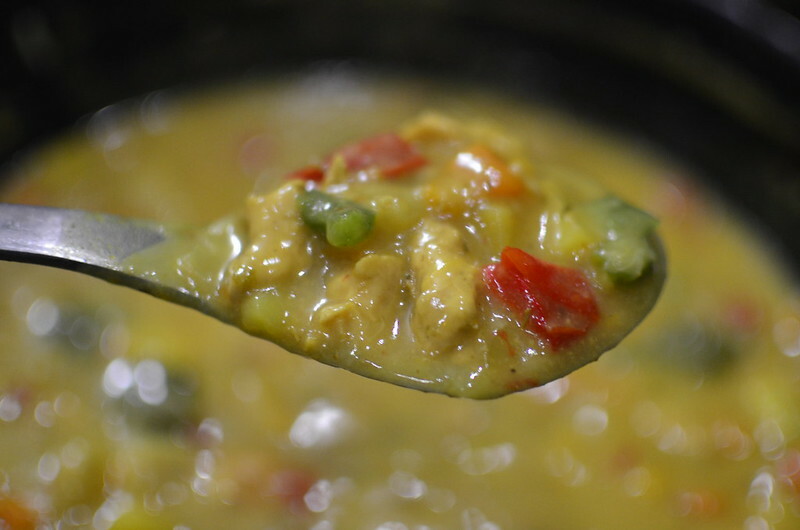 Continue to simmer and add the reserved green peppers – it adds a peculiar flavour and fragrance to the curry that I really like. 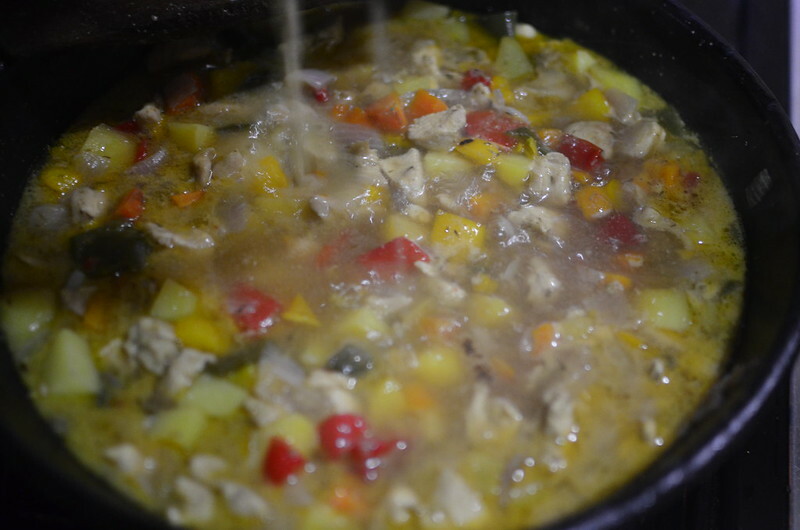 Stir and let cook till thick, about 5 – 10 minutes. 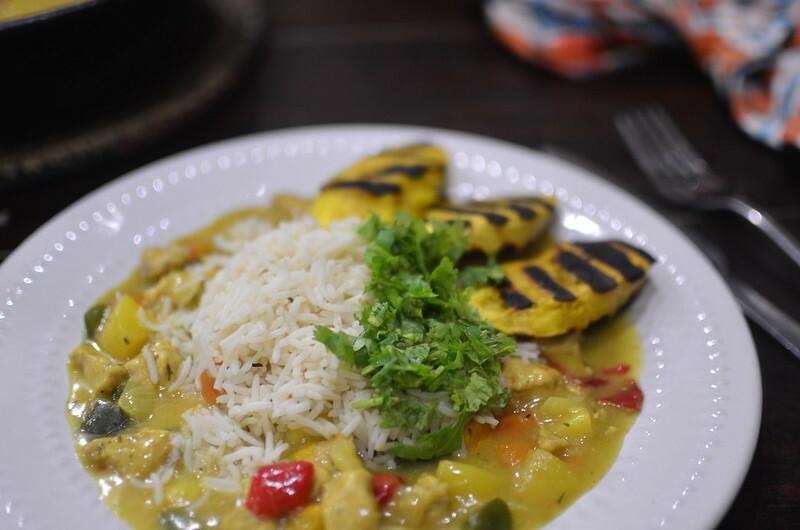 It was quick, vibrant and super delicious. Everyone went back for seconds. Now, this can keep well in the fridge or freezer – however, the sauce clumps and isn’t very appetising. What you can do to ‘refresh’ it, make a bit of slurry, heat up the sauce, add the slurry and gently warm it back to perfection. Do you make this often? What are your twists? Share. All. 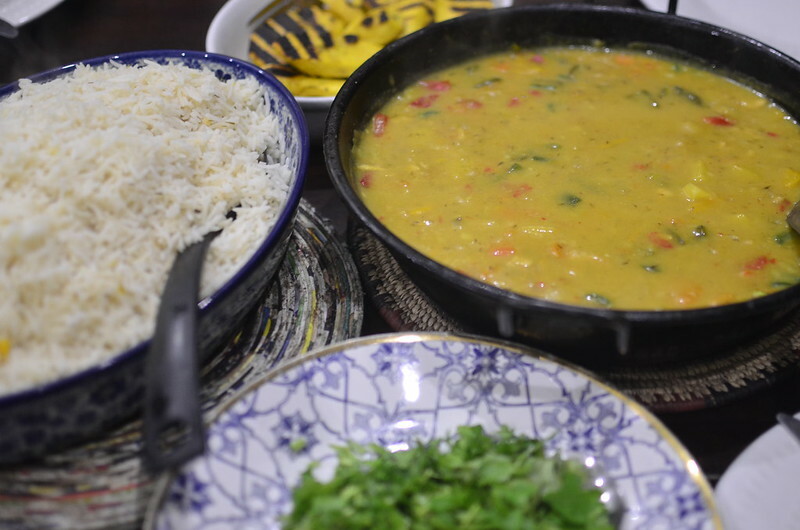 Or your favourite ‘curry sauce’. Stay well.